Are you a roller or a stuffer? The art of packing for a trip really is an art. Some people abide by the rolling trick, tightly winding shirts and jeans into little hot dogs and carefully sandwiching them in their bags. Others wing it by stuffing in whatever they can — a far less methodical though still effective approach. Then there are still others who swear by sectioning off their clothes into cubes. Workout clothes in one cube. Sweaters in another. Shoes over there. I’ve been a roller for a few years — it’s easy to pack for a weeklong trip in a carry-on this way — but cubes have always eluded me. Until now. I recently took the new Eagle Creek Pack-It Specter Tech Starter Set, launched in July, on a trip from New York to Los Angeles. Here’s how it went. The set has three parts: one small bag, one medium bag and one medium structured cube. 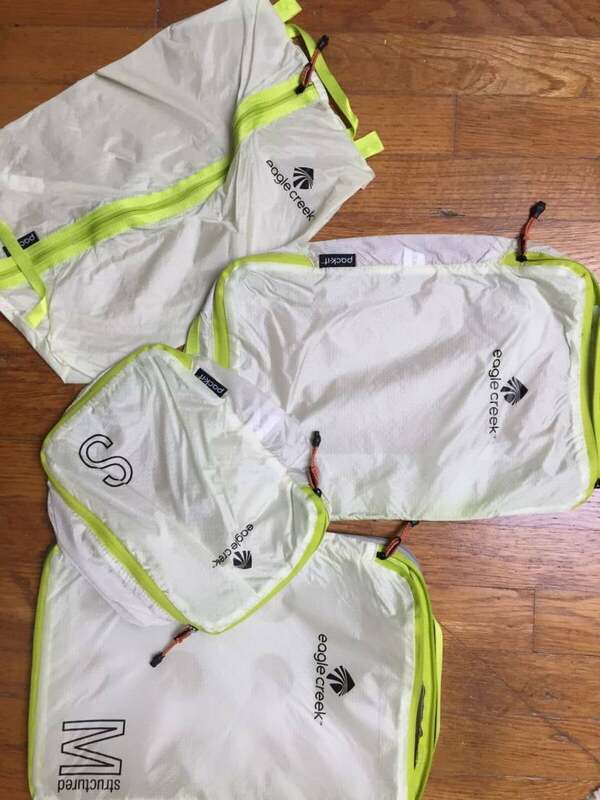 They’re made of a semi-transparent water- and stain-repellant ripstop nylon with “two-way self-repairing zippers with climbing rope pulls.” They definitely don’t feel dainty. The structured cube has a stiff folding board inside to keep your crisply folded shirts, well, crisp. The dimensions for the small pack are 6.75 x 9.75 x 3.25 inches; the medium is 10 x 13.5 x 3.25 inches and the structured medium is 10 x 13.5 x 1.25 inches. They’re all light as a feather — seriously. The small weighs in at 1.3 ounce; medium is 1.8 ounce and the structured medium 8.2 ounces. Simple, sleek and utilitarian, they’re not going to win any style points at New York Fashion Week, but to hold your balled up underwear and socks? The gender-neutral bags totally work and are totally functional. I do wish they were slightly more transparent. I kept unzipping each bag to see what was inside; not a problem if you completely unpack when you arrive at your destination, but if you’re moving around to new cities, it might be time-consuming or annoying to rummage for what you need. Fair warning: You might derive an odd sense of satisfaction when you open up your suitcase and see all your possessions so neatly arranged. I did. Instead of stuff bursting the second I unzipped my bag, I felt like I tamed travel — or at least the annoying packing part. My suitcase felt way more organized, so I felt more organized. Plus, parceling out my clothes (running gear in one, shirts and sweaters in another, and underwear/socks in the third) made me see how much space I was wasting by adding “just one more” item. These cubes made me realize I should try to pack even lighter. 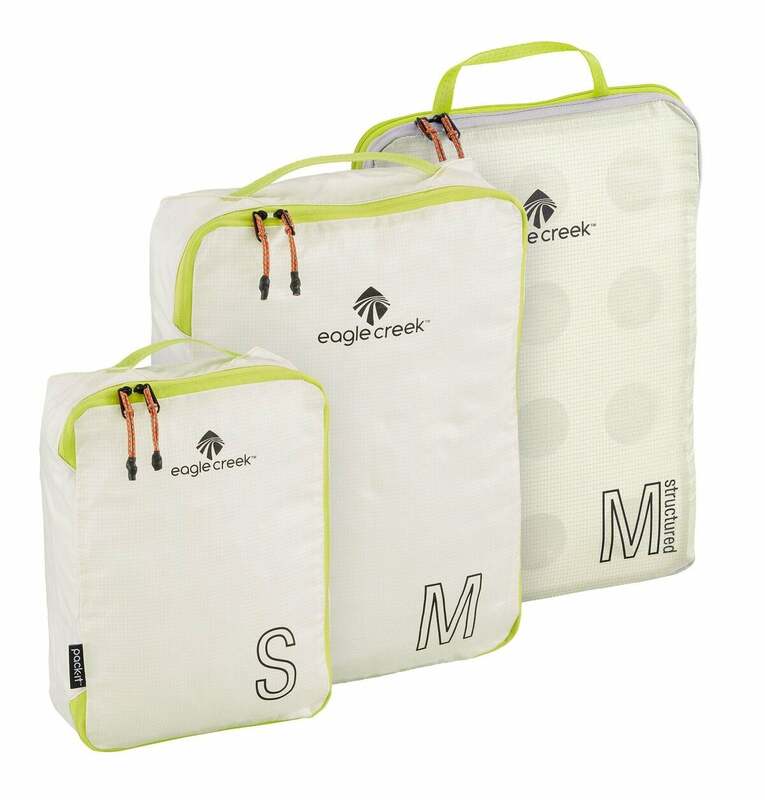 Eagle Creek provides a lifetime warranty on all products, including repair or replacement if the product fails. (They boast that their return rate is less than 1%.) They also pride themselves on being an environmentally conscious company concerned about reducing their ecological footprint. The nylon shell is a bluesign-approved fabric, which means natural resources were used responsibly to improve water and air emissions. The Starter Set is $54 (less than $18 per cube), and is on sale at times, through Eagle Creek and elsewhere. If you’re a stuffer, you might become a roller. If you’re a roller, you might become a cuber. I never quite understood the appeal of divvying your clothes into cubes, but they really do save space — and some of the time you spend rooting around for that lost sock. They’re strangely calming and make you feel in control of your trip. Even if your itinerary isn’t the most organized thing in the world, your gear can be. Prices accurate as of publication date.